This essay is part of the Messy, Beautiful Warrior Project — To learn more and join us, CLICK HERE. And to learn about the New York Times Bestselling Memoir Carry On Warrior: The Power of Embracing Your Messy, Beautiful Life, just released in paperback, CLICK HERE. I’ve been doing a new exercise lately, when difficult memories surface. I take a deep breath, and the in-breath represents full acceptance of myself and everyone in my past, my life story and theirs. Then I breathe out, and that represents letting go of the pain and trauma that I experienced, forgiving myself and others. Breathe in — acknowledge and accept; breathe out — let go. 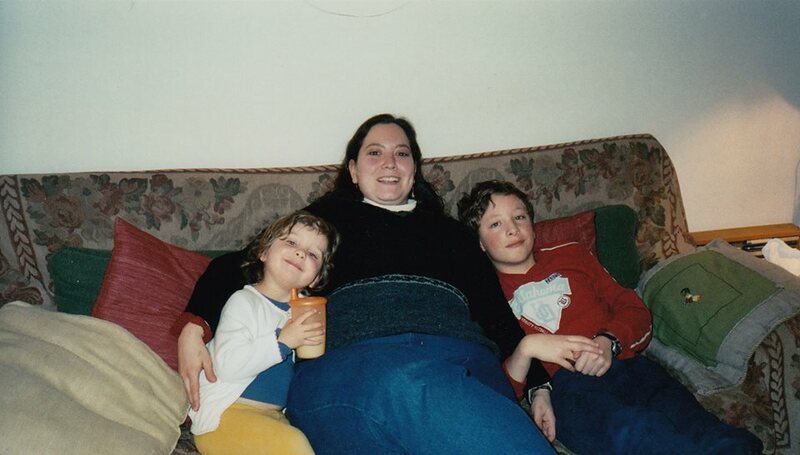 In the spirit of accepting myself and acknowledging my whole life story, yesterday when I was posting some pictures from ten years ago I included a somewhat unflattering picture of myself — worthwhile because of my two adorable cousins. I wanted to avoid the temptation to edit out parts of my life that I don’t like — like the fact that I was significantly overweight for most of my late twenties and early thirties. That was a part of me, and I can’t breathe out and forgive myself unless I breathe in and acknowledge it. I did so many fun things during that time, and it’s impossible to post pictures of them without showing that aspect of myself as well. 2. Stop eating when you’re full. 3. Forgive yourself when you don’t. Of course, this wasn’t just about weight. Weight was just a symptom and a red herring — a distraction from the deeper fears I couldn’t even face. I realized this when the pounds started coming off , and instead of being happy about it I fell into a deep depression. I realized that the feeling that there was something wrong with me, that I had a fatal flaw that would keep me from ever being loved, from ever being truly happy, went much deeper than my feelings about my weight. The weight was actually a protection for that deeper fear, and when it started coming off I was terrified that I would see — and others would see — the thing that was actually wrong with me. I don’t know what I thought it was. But I was terrified of it. You have done the very best you can, every step of the way. You have made mistakes, but you are forgiven. Accept yourself and your past, forgive yourself, and let it go. When you have learned to forgive yourself, it will be possible to forgive others for the times they have hurt you. Breathe in — it’s okay. Everything that has happened to you is part of your story — there’s nothing you need to deny or forget. It has all led here, and here is where you are supposed to be right now. Breathe out — Let it go. You are not defined by your pain or your mistakes, or the way others have hurt you. You can let go of all of it and live fully in the moment, and accept fully what this day and this moment have to offer you. 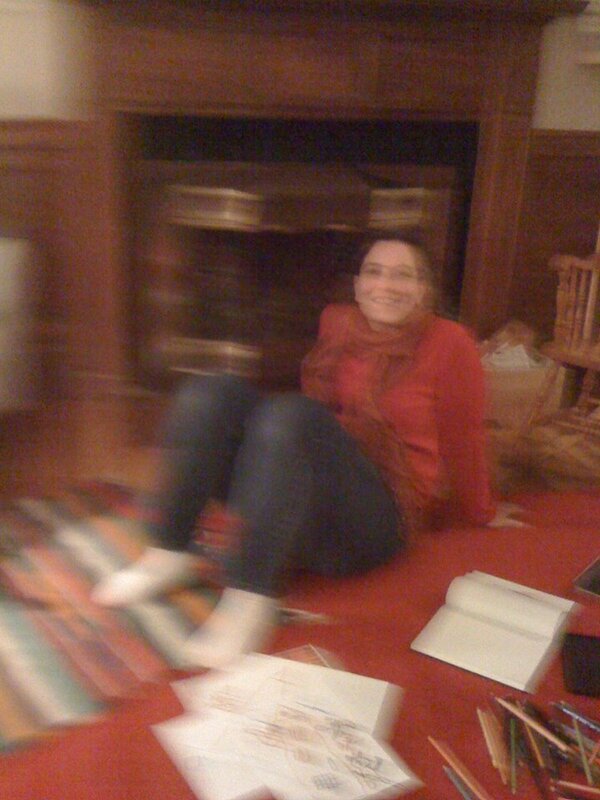 2013 — I couldn’t find a less blurry shot for my “after” picture, but I like this one! Both messy and beautiful! Really needed to read this today. Thanks so much. Thank you for reading, Janak! Kendra, yes, they are HUGE things! Thanks for reading, and for commenting. Beautiful. Wow. This is so inspiring! Thank you for sharing! 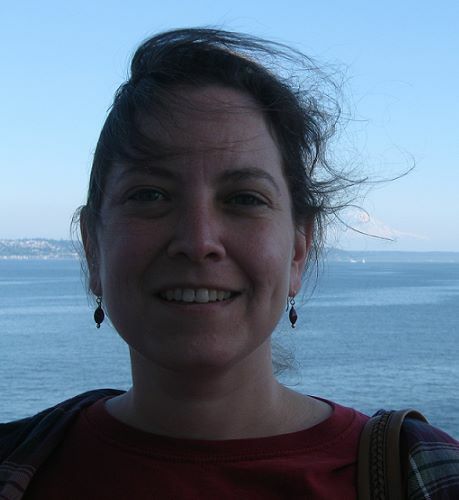 Oh Jessica, I’m so glad that you commented on my blog so that I could find you here and your story…I just love this! I think that redefining our identity as separate from the shame and as a beloved child of God is pivotal (at least for me it is). The breathing exercise is one I will adopt. Thank you for sharing this. Thanks, Olivia! Thanks for coming by.